For local restaurants and caterer information, visit the lists in our vendors directory! 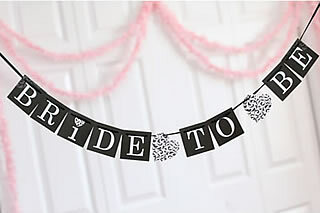 Celebrate the bride-to-be in style ... deck the venue for the bridal shower with fun decorations! 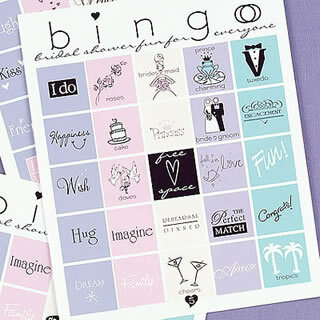 This fun bridal shower bingo game provides enjoyable entertainment for bridal showers and other pre-wedding parties. 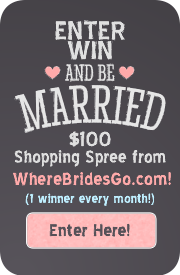 The game features colorful wedding designs and includes pieces for up to 21 players. 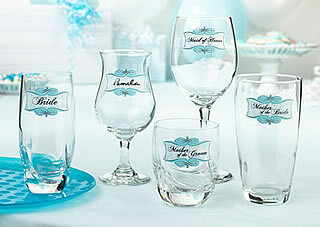 These special glass clings are a wonderful way to designate place settings at receptions or bridal showers. This kit includes twenty 2.5" x 1.5" aqua-colored glass clings. Sixteen of the clings are blank and four are preprinted ("Bride," "Maid of Honor," "Mother of the Bride" and "Mother of the Groom"). Let our Cosmopolitan Bachelorette Sash & Veil Set be your go-to accessory for your big night out on the town with the girls! Crafted of smooth satin and poufy tulle, this black and white bridal set really comes to life with free personalization and an accent color of your choice... making it an even more fashionable way to have fun! And once you top off your look with the sleek headband veil, you'll be sure to have a fabulous night, surrounded by all your favorite ladies! Set includes personalized sash and tulle veil. Colorful bachelorette buttons come in a set of twelve including: one "bride-to-be", one "matron of honor", one "maid of honor", four "bridesmaid" and five "friend of bride".